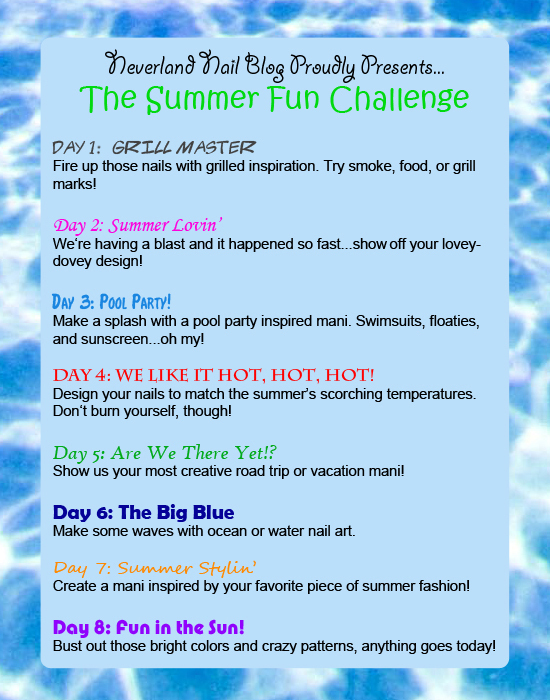 Creative Nail Design by Sue: Summer Fun Challenge-Are We There Yet? Today's theme was road trip or summer vacation. Well, I have been to a lot of places but nothing jumped out at me. I had almost given up hope until this weekend. Most of you may already know, I am new to the polish world. I stumbled across a facegroup group during a spring challenge and met some great people. Then I was intoduced to another facebook group and learned a lot about polish really quickly. One thing I learned was that everyone goes to Ulta. Never even heard of it. The more they talk about it, the more my interest was peaked. I looked online and found that there was a store in Utica. That is about 1 1/2 to 2 hours away but the closest one to me. I mentioned this to my mom who is always up for an adventure, so......off we went this weekend. Road trip to Ulta anyone?? Love google maps on the iphone. It is such a big help when traveling. I was super excited to check it out. Here is a reminder of the challenges we still have ahead of us. Wow I love it! So lucky to have an ulta close by. Wow!! This is awesome! Your freehand drawings look incredible. No one would ever know you were a newb! This is fantastic! I do love me some Ulta, luckily the closest one to me is 11 miles away. I would take a road trip like that for Ulta too so I don't blame you lol. This is so cute!! I love it! I also love to check out new to me Ulta's! These challenges bring out so many unique designs. Love your design. I LOVE this! And yes, I will join your Ulta road trip any time! I wish I had Ulta where I live.. 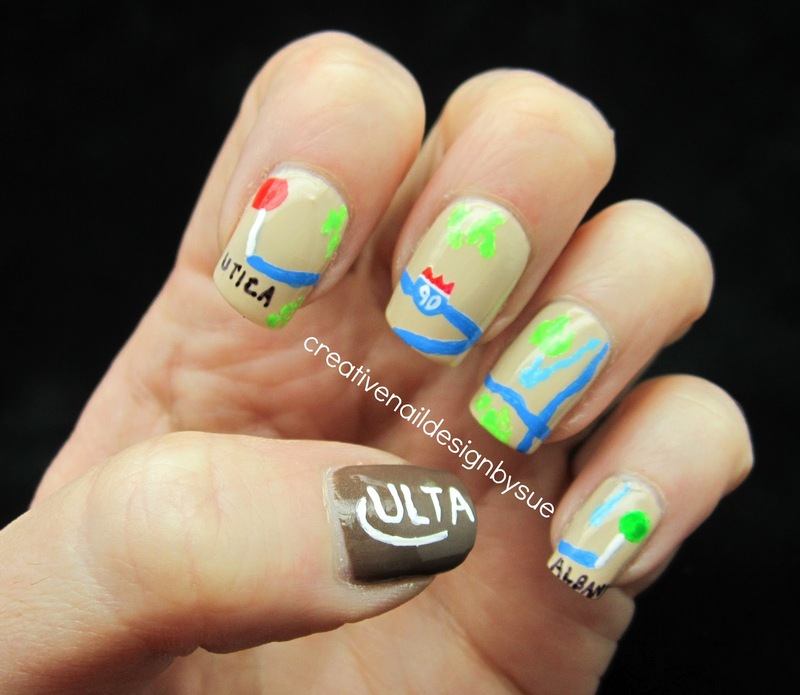 I'll have to travel vicariously through you :P Awesome mani! Albany doesn't have one, really? I've never seen one either >.< I'll have to investigate when we move back to NY.